A book of Common Worship to fill the pews with, these books are clear, readable and structure simply and effectively. Common Worship is the new worship and service book for the Church of England. The Standard Edition is the core book that will be used by most churches on Sundays. It is a black hardback book with gold blocking and two ribbons. 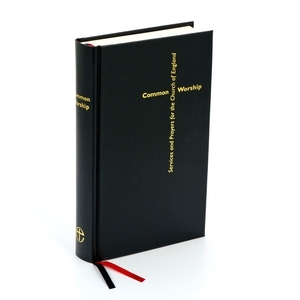 Common Worship: Standard Pew Edition was published by Church House in November 2000 and is our 1100th best seller. The ISBN for Common Worship: Standard Pew Edition is 9780715120002. Be the first to review Common Worship: Standard Pew Edition! Got a question? No problem! Just click here to ask us about Common Worship: Standard Pew Edition. A:Thanks for your interest in Common Worship, this edition contains all of the liturgy and prayers for the two orders of Holy Communion and all of the other Sunday services in the Church of England. Yours, .